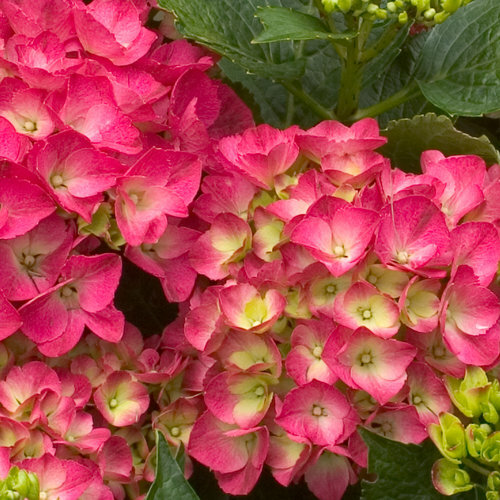 The reddest hydrangea out there! Ooh la la! 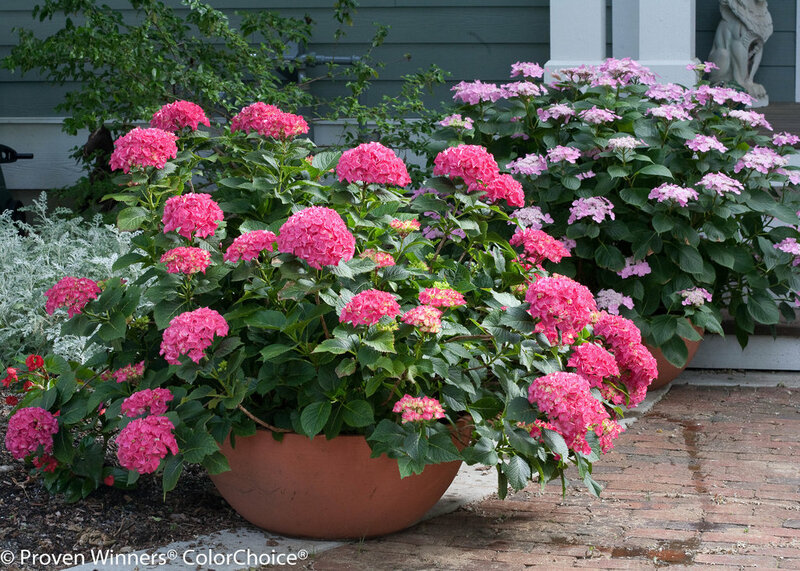 The tight, compact habit of Cityline Paris hydrangea makes it a well-behaved garden or landscape plant, while its vivid deep red flowers make a bold and stylish statement. 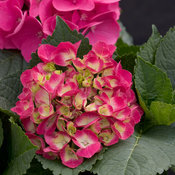 One of the smallest hydrangeas on the market, it does not need pruning (in fact, don't prune it at all!) and its deep green mildew-resistant foliage looks handsome all season. 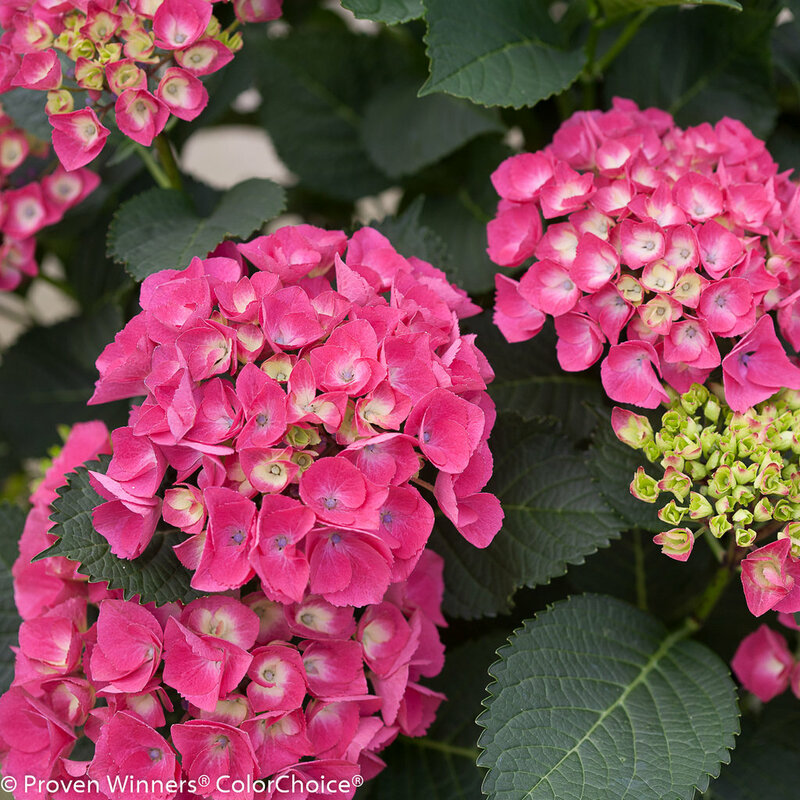 Cityline Paris keeps its red color in most any soil, developing only purplish centers in acidic soils. 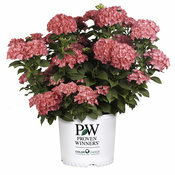 - very disease resistant and low maintenance. 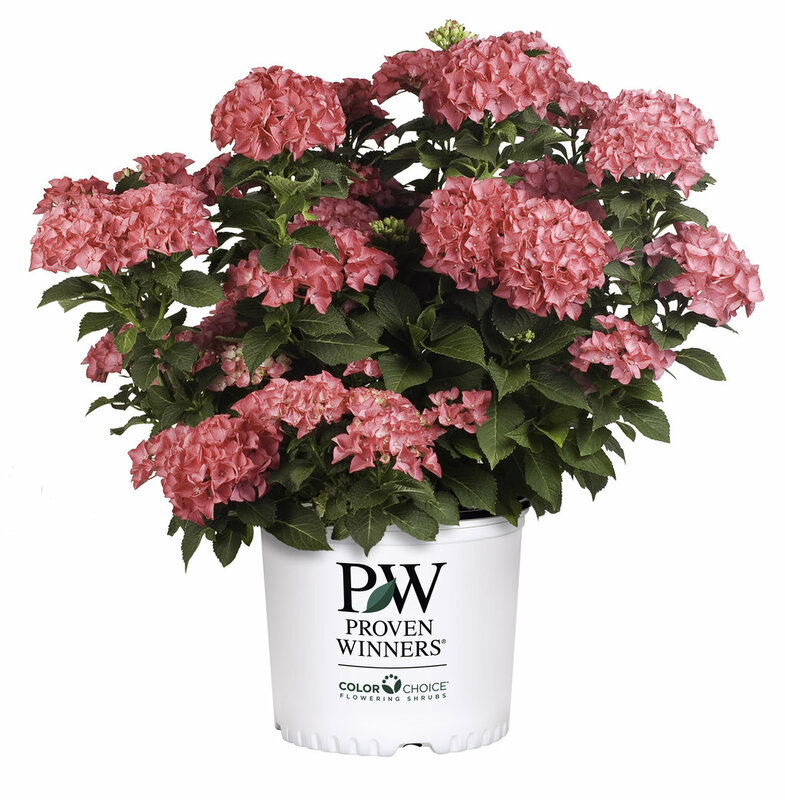 Best in well-drained soil that has been amended with peat moss, leaf mold or compost. Flourishes by the ocean. 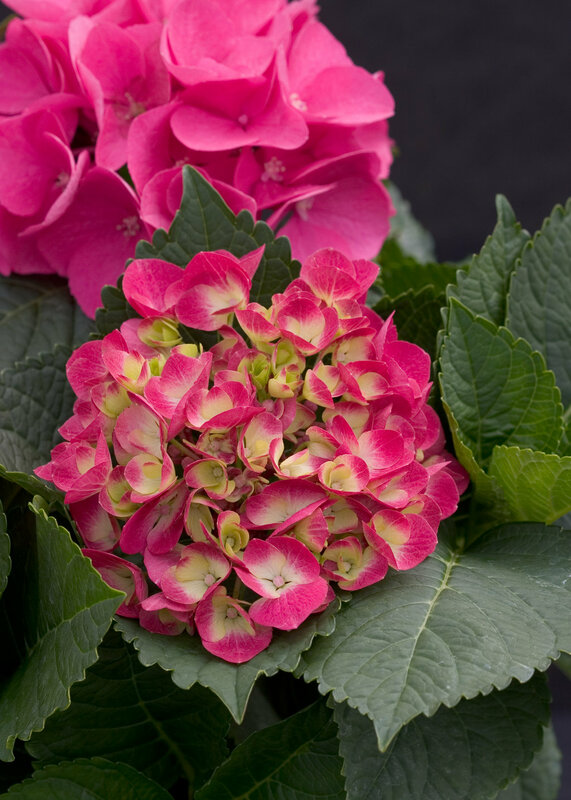 Pruning is usually not needed, but may be pruned immediately after flowering. Prefers moist soils. May need winter protection in northern areas. 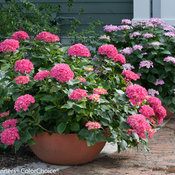 Fertilize in early spring by applying a slow release fertilizer specialized for trees and shrubs. Follow the label for the recommended rate of application. 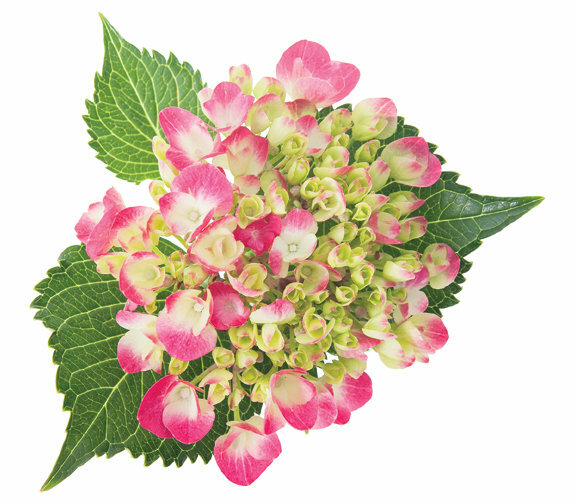 Flower color is affected by pH. 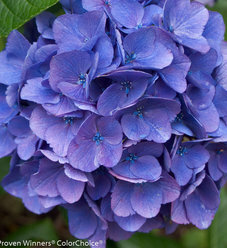 For blue flowers, the soil must be more acidic. 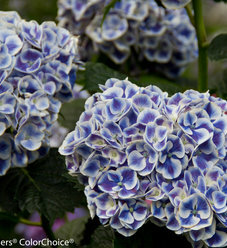 Apply aluminum sulfate to the soil to encourage blue flowers. 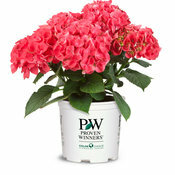 Purchased 5 of these PW's, when transplanting it was obvious they had recently been repotted to larger containers. 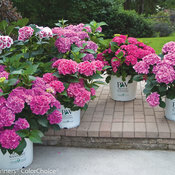 The roots and rootball were tiny in the gallon containers, with loose soil around to make them "fit" the larger sized containers. 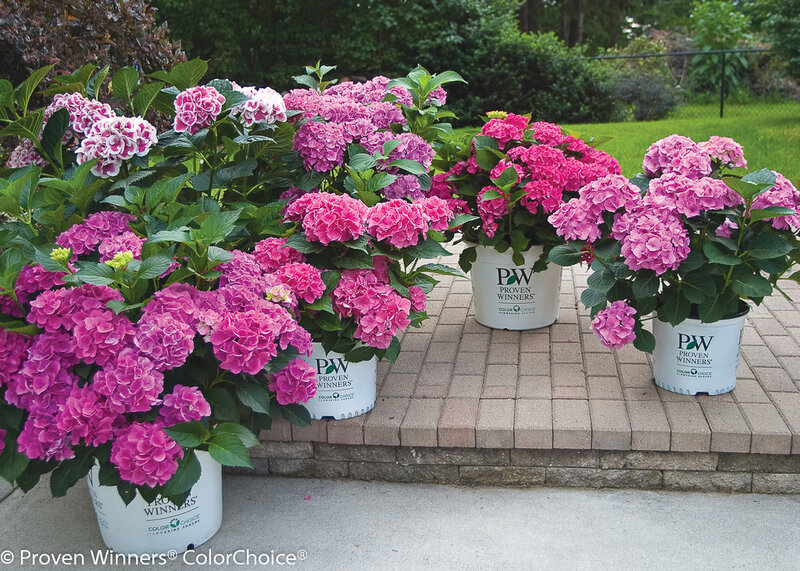 Despite loving care and pampering, they all died except 1 which is still in the original "gallon" container in which it was purchased. Even so, all blooms and leaves died and fell off, it did sprout a few tiny new leaves and has been attempting to hang on. I bought this last year at the end of July (in 2015). It looked beautiful and although I took care of it (covered it during the winter to protect it from snow and winds) it did not survive in 6A. The buds were green in spring on it, but no leaves emerged. Then in May some leaves came out but wilted again. Now the canes are all dried up and broken. 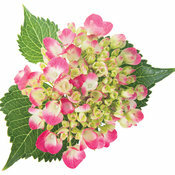 I have other hydrangeas and they are all doing well but this one simply couldn't survive our winter and cold spring. What a waste of time and money. After reading about it online, others say that they actually keep it in a pot and bring it indoors/garage otherwise it won't survive. Big disappointment, flowers are so beautiful. It should say on the label that it blooms on old wood. My Cityline Paris shrub is now 4 years old. Gets morning sun & afternoon shade. 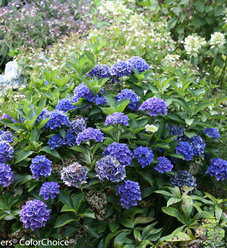 First year it had fabulous blooms; years 2 & 3 not any. However, this year (May 2016) there are buds all over it! For this past winter I put a wind shelter around it of just simple wooden stakes and weed barrier cloth stapled to the stakes. Then I filled the resultant space with semi mulched leaves. Don't know if this did the trick, but I'm going to do it each winter from now on. I bought this at a reliable garden shop in Tacoma this Spring. I planted it in a large pot using good soil. I am thrilled with the beautiful growth and plentiful blooms. It had exceeded my expectations. I am proud to have it in my patio garden. Visitors are delighted by its beauty. If I had more room, I would buy another one. Thanks for a beautiful product. 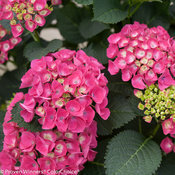 I planted this and it has gorgeous blooms, my favorite by far. The first two years after planting this hydrangea were disappointing, just one bloom each year, but we'd also had extremely harsh winters and other H's in my yard were equally as disappointing. Now into year 3, this little guy is blooming beautifully!!! I'm extremely pleased and will be replacing my lackluster H's with more of these little beauties. The compact size lets them fit easily into any garden. Give them time, they're worth the wait.